There have been very little advancements in text-to-speech technology over the last 5 years, so we are excited to announce a series of new text-to-speech voice input options (37 to be exact). 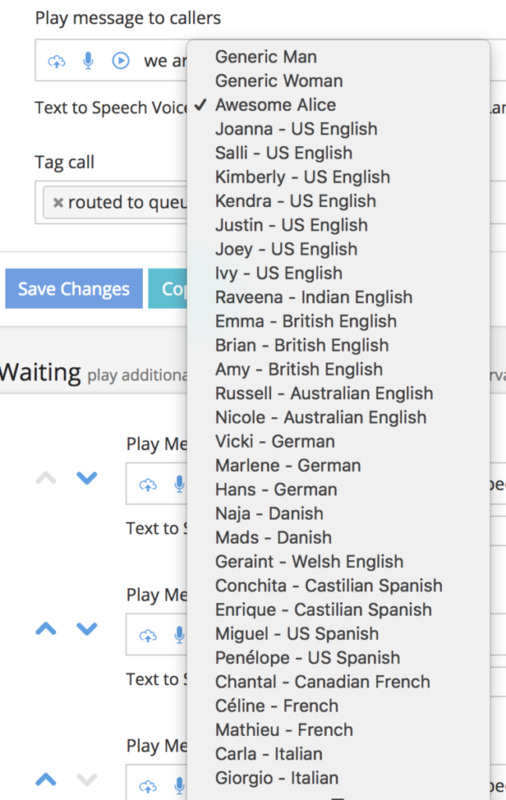 These specialized voice engines are toned to a specific region, such as Joanna – US English, Nicole -Australian English, and Penélope – US Spanish. Unlike Awesome Alice or Generic Man, these new voices are assigned to a specific language and dialect. This is a great way for global organizations to give a more local experience to callers and provide best-in-class service. Try our new voice input options today!